Interesting graffiti in the back rooms of the dollar store. Unfortunately I don't remember what this store was before it was the dollar store. But someone scrawled, "Mike was here," and drew a Kilroy. Beneath that, it reads, "And 40 jackets later, no more Mike... and the story goes on." 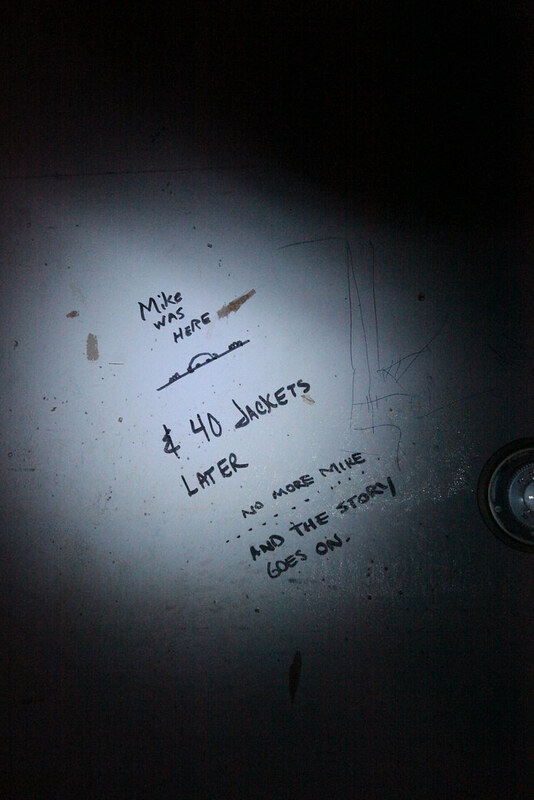 Apparently Mike decided not to sell jackets full time. Perhaps he moved on to greener pastures. Or perhaps he got a job at the hell hole that is the Palisades Center.